The One SpiRIT: Global Hockey Festival was held on Oct. 11 at the new Gene Polisseni Center. 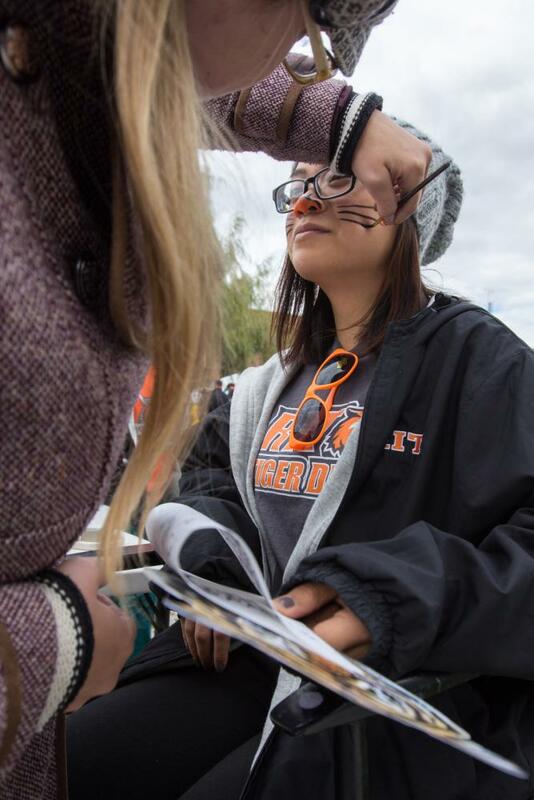 This new tradition-in-the-making allowed RIT to share its rich hockey culture while bringing all its campuses together as one global family. The campuses were brought together for a memorable doubleheader, where the men’s hockey team team took on Clarkson University after the women engaged in a tough battle against Northeastern University. RIT's Henrietta campus was connected to RIT’s Kosovo, Dubrovnik, Zagreb and Dubai campuses through interactive technology. Cisco video conferencing technology, TelePresence, powered the event. All of the campuses were hosting their own celebrations as well. RIT Croatia held its One SpiRIT event on the beautiful Banje beach, where they tuned into RIT’s broadcast of the event. The interactive lounge used the advanced Cisco Systems telecommunication technology and allowed students to connect and talk to many other students across the globe. The celebration here at RIT Henrietta included many traditional games such as KanJam, bean bag toss and ladder ball. 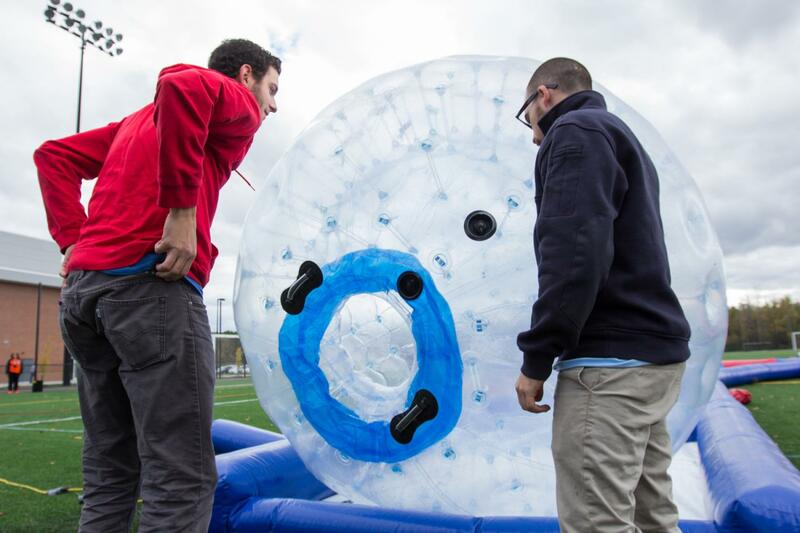 There were also opportunities to race in a human hamster ball, rock climb a small tower and play human foosball. Free food, including popcorn, hot dogs, cornbread, chili, donuts and lemonade, was given to students, which resulted in close to a half hour wait at times. There was also live music for everyone to enjoy. Attendance peaked at 3,011 fans, which is a program-record crowd. Students were eager to enjoy the women’s game that followed the festivities. Free T-shirts were given to the first 1,000 students that entered. Both the women’s team and the men’s team were looking to add a win to their resume that evening. 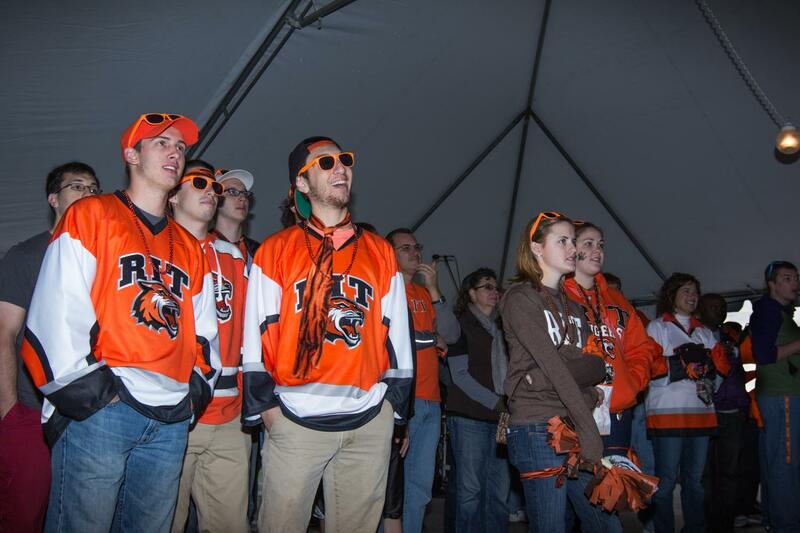 Spirits were high and RIT’s hockey teams were able to feel the presence of many RIT students and fans. The atmosphere of the Gene Polisseni Center was riveting after an entire day of tailgating and celebration. The men’s hockey team unfortunately could not pull off a win and lost 3-1 against Clarkson. A lone goal from Caleb Cameron was not enough to defeat the Golden Knights, which brings the men’s record to 1-1. Although neither the women’s or the men’s hockey teams were able to walk away with a win, the day was filled with a memorable festival and thrilling hockey games. 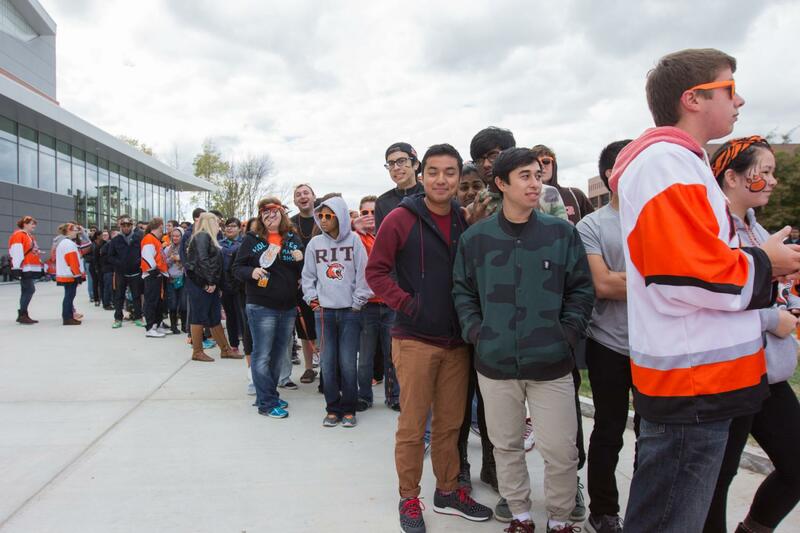 RIT’s campuses were connected and all were able to feel the magic that is RIT hockey.